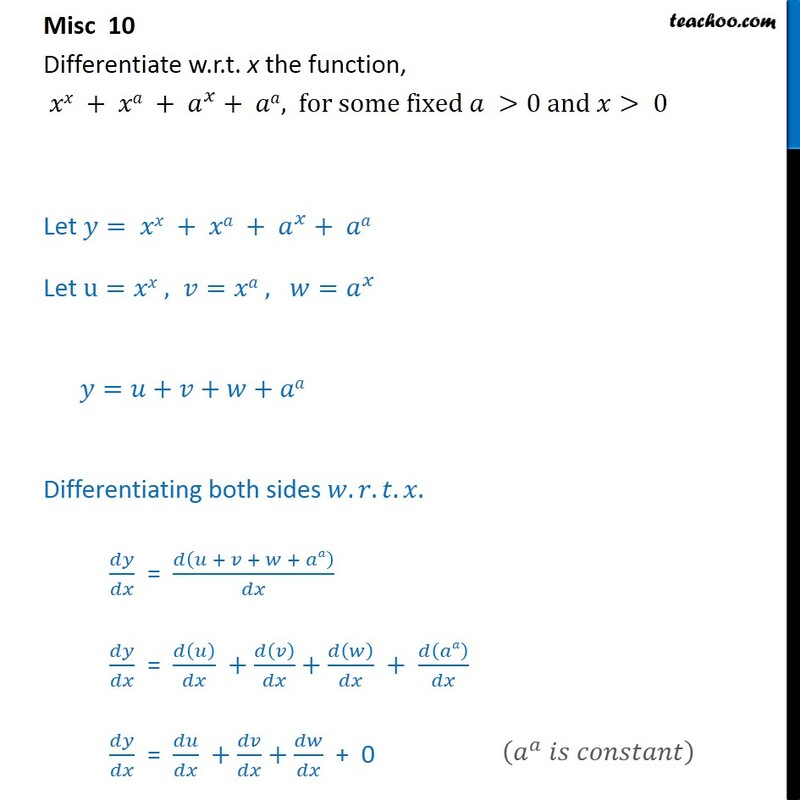 Misc 10 Differentiate w.r.t. x the function, + + + , for some fixed >0 and > 0 Let = + + + Let u= , = , = = + + + Differentiating both sides . . . . = + + + = + + + = + + + 0 = + + Calculating = Taking log on both sides log = log log = . 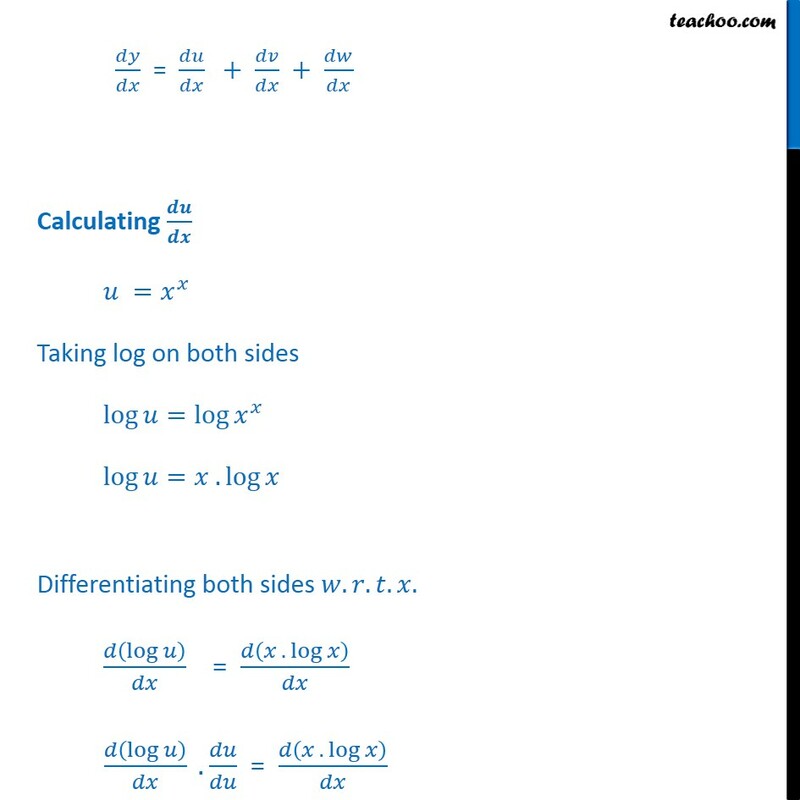 log Differentiating both sides . . . . log = . log log . = . log log . = . log + log . 1 . = log + 1 . 1 . 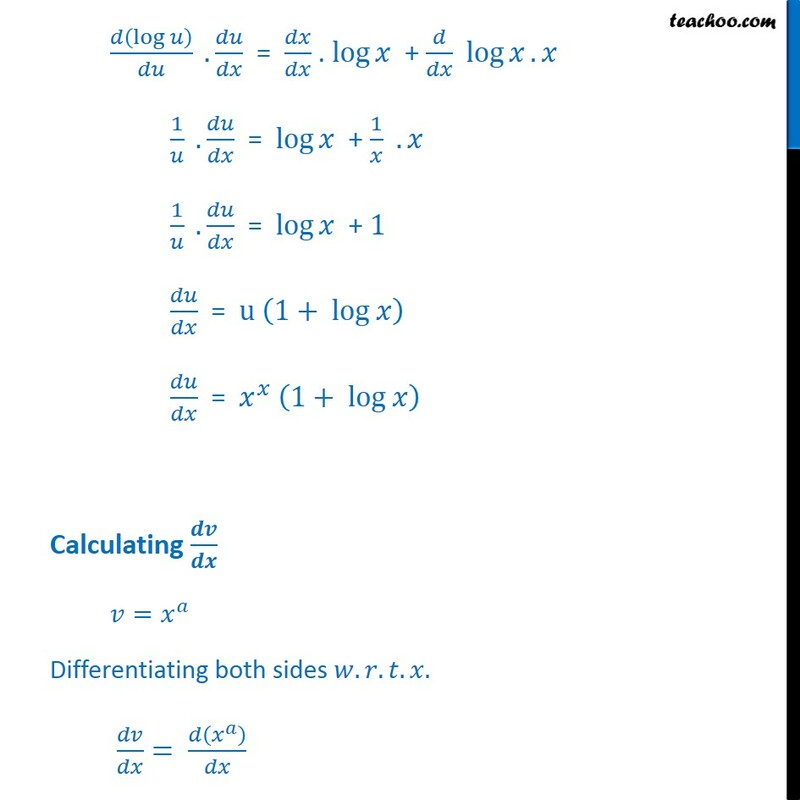 = log + 1 = u 1+ log = 1+ log Calculating = Differentiating both sides . . . . = = 1 Calculating = Differentiating both sides . . . . = = . 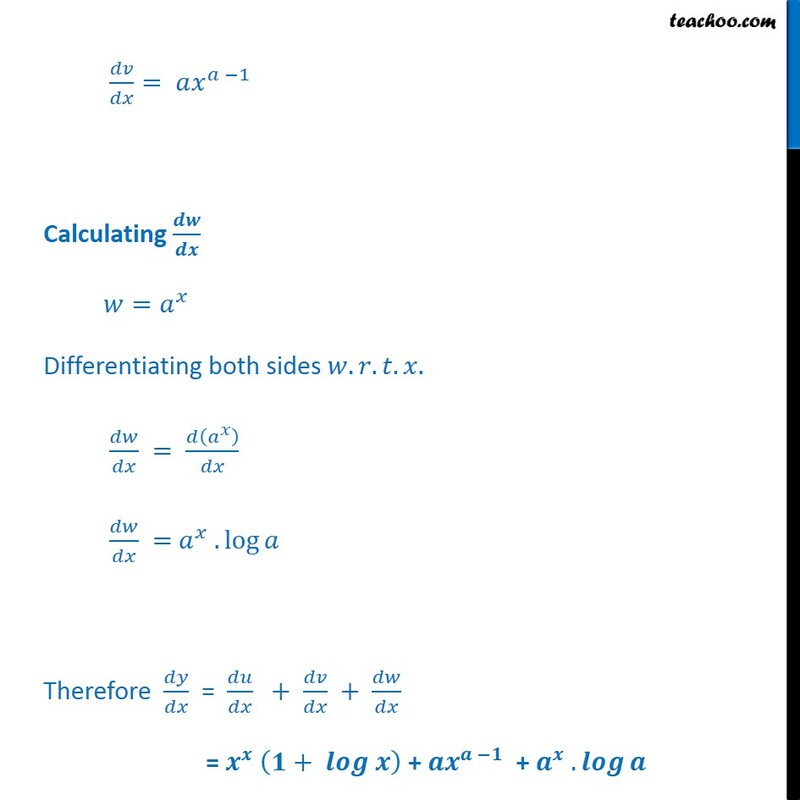 log Therefore = + + = + + + .